We are now looking at replacing computers with simple IIoT-enabled buttons that signal feedback to the operator through lights. We are looking at simpler approaches and cutting the PC cord, so to speak. Chris Misztur and Scott Masker of MacLean-Fogg Component Solutions discuss ERP implementation and value-delivery with IIoT projects. Smart Industry: How is MacLean-Fogg using IIoT to gain industry advantage? Chris/Scott: It really began a little over a year ago. We were looking at some of the methods being used to gather shop-floor information and thought there could be a better way than the standard entering information from memory into an ERP screen. From there we began thinking about IIoT to come up with solutions in many different parts of the business. We’ve been able to fully integrate our sort-pack department to use our IIoT solution to get information to our ERP system. This automates parts-counting and tag-printing. Smart Industry: What has changed in the second year of this initiative? Chris/Scott: Things in this space move really quickly. We are now looking at replacing computers with simple IIoT-enabled buttons that signal feedback to the operator through lights. We are looking at simpler approaches and cutting the PC cord, so to speak. 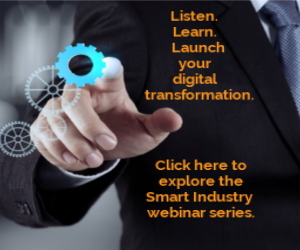 Smart Industry: Why/how does your ERP implementation drive the need for better business practices? Chris/Scott: Throughout the implementation process the businesses generally find out what they are doing right, but also what they are doing wrong. Many times through the implementation the business has opted to change the practice to better fit the ERP system. In some cases, they choose to continue with the process they used originally. In these cases, we are able to leverage IIoT to marry to our ERP system and accomplish tasks that the ERP system could not readily do. This allows us to keep the integrity of the ERP by keeping the development outside the system, and just pushing in the data needed by the system. Smart Industry: What is the greatest challenge in staying focused on value-delivery with IIoT projects? Chris/Scott: The biggest challenge is time. While the business wants to keep the ERP package as “base” as possible there is still a lot of development required. Finding the time to research and learn the different hardware/software/programming languages of IIoT systems can really infringe on the time needed for other areas of your work. Making it a collaborative effort helps in this regard. Look for online examples, even if they don’t match exactly what you are looking for. If it gets you half of the way there it is better than reinventing the wheel for 100% of your project.